Power panels are no longer permitted to be inside closets, and for good reason. Breakers should always be in an area that can easily be accessed should one need to shut the power off in an emergency. 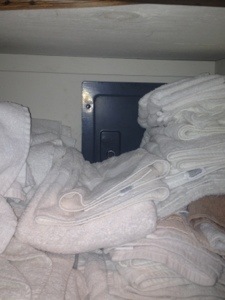 If you have a power panel in a closet, is is recommended you keep the space in front of the panel clear of storage.